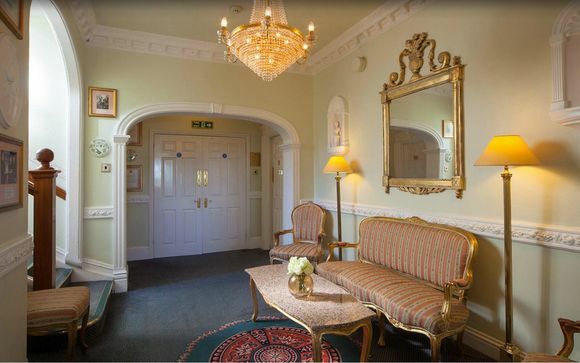 This small, family run hotel offers outstanding personal service and some great facilities like a Champagne Bar and a Venetian Spa. It is situated in the heart of medieval Rye - a beautiful ancient town famed for its artistic heritage, pretty cobbled streets and fantastic restaurants. 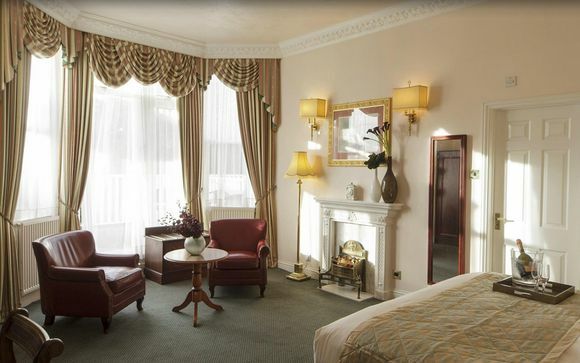 Our members have a choice of three charming rooms with a daily breakfast and complimentary late check out. 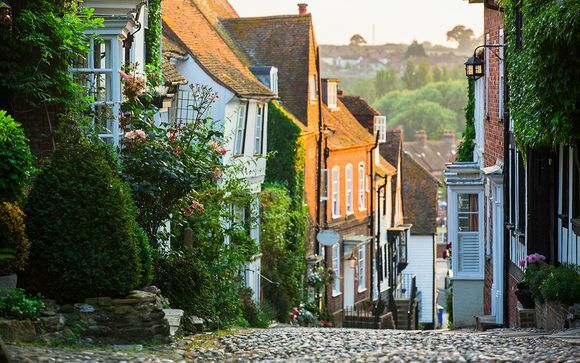 A beautiful medieval town with a fascinating history, Rye offers a great escape for relaxation or romance. Wonderfully preserved Tudor, Georgian & Elizabethan architecture line the quaint cobbled streets, awash with bookshops, pubs and cafes - it is a real joy to explore. You're also just four miles from Camber Sands, where the sea air is wonderful any time of year. Once a haven for artists and writers (Henry James, E.F. Benson, G.K. Chesterton, H.G. Wells, all have links with the town) Rye is now a renowned centre for antiques and art, with numerous shops and galleries to be found. Rye also has an exceptional choice of cafes and restaurants, many serving local specialties such as Rye Bay Plaice or Romney Marsh lamb. Mermaid Street and Mermaid Inn (rebuilt in 1420) - one of the oldest Inns in England. This small, family run hotel offers a warm welcome in the heart of medieval Rye. Built in mock-Tudor style, in keeping with its historic surroundings, interiors are homely yet elegant, with some excellent facilities. These include a Champagne Bar, fantastic restaurant and a Venetian Spa. The 18 guest rooms are each individually styled, blending contemporary style with classic elegance. Each is generously spacious with all-modern amenities. 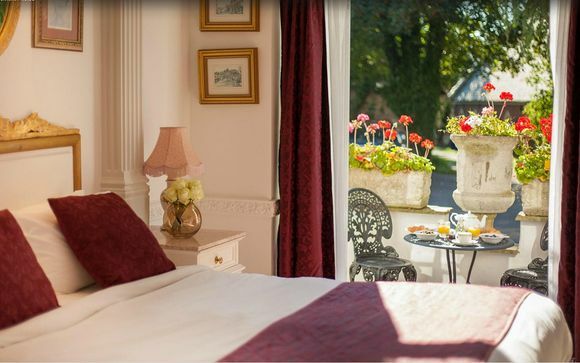 Rye Lodge received the Visit England Gold Award for excellence, recognizing the outstanding personal service, so you can be assured of a fantastically relaxing stay. 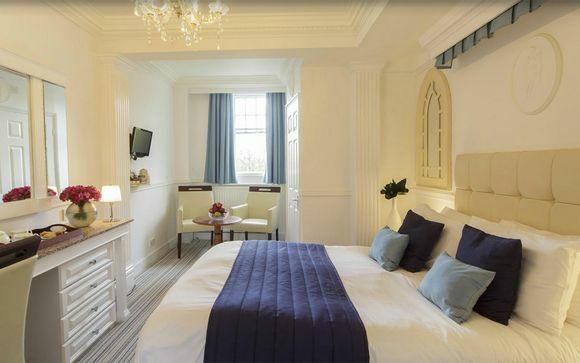 You may choose from a Standard, Deluxe or a Classic / Courtyard Room. Each room at Rye Lodge is individually designed, with its own character and charm, Standard room are light and airy, measuring approximately 15sqm , with a lovely view of the ancient town. These rooms are a little larger (20 sqm) with a view of the river or the town. They have a seating area and table for work or relaxation. Some are on a split level, with outdoor patio, for an even more spacious feel. These elegant rooms measure 35sqm and offer charming unique features such as an open fireplaces or a balcony. Deluxe rooms also have fluffy bathrobes and slippers, as well as the option of booking in-room spa treatments. Just for you: 1 bottle of Prosecco per room per stay. Taking its name from the salt marshes which surround it, this celebrated restaurant is run by head chef Attila Csicso, who spent 10 years working in fine dining restaurants such as Michelin starred Club Gascon and under Tom Aikens at Tom’s Kitchen. Salts offers modern European cuisine with an emphasis on seasonal, ethically sourced ingredients. Expect dishes such as such as wild mushroom tortellini, venison fillet and herb crusted cod. Please note: For your evening meal a discretionary 12.5% service charge will be added to the bill. 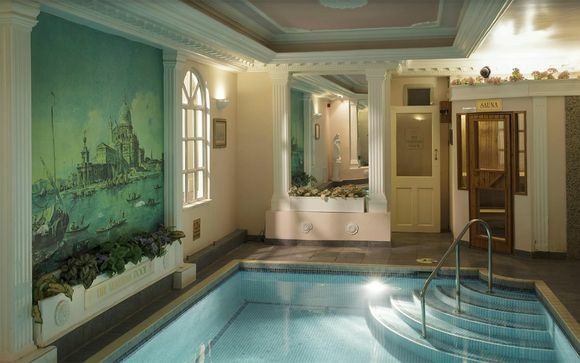 After a day out exploring the town or hiking on the south downs, what better way to relax than at the hotel's Venetian inspired spa? Guests can enjoy complimentary use of the indoor pool, traditional pine sauna and relaxing spa bath. By Car: Rye is one hour by car from Dover and Canterbury. London is just one and a half hours away.There is a private car park at the hotel. By Train: Rye Station is a five minute walk from the hotel. By Air: Rye is located less than 2 hours from Heathrow Airport and 1h 30mins from Gatwick.